Creative sparks were flying at South Devon College recently, when an enthusiastic group of Level 1 Carpentry and Joinery students were given the challenge to design a series of brand-new park benches. Approached by the team at Kingsteignton Town Council, the students worked together to sketch up and construct their custom designs. For many of the level 1 students this was the first major project they’ve worked on, gaining great practical experience. Upon completion, the benches were collected and transported to their new future homes, with a bench each to be placed in both Oakford Lawn and Clifford Park for the public to enjoy. 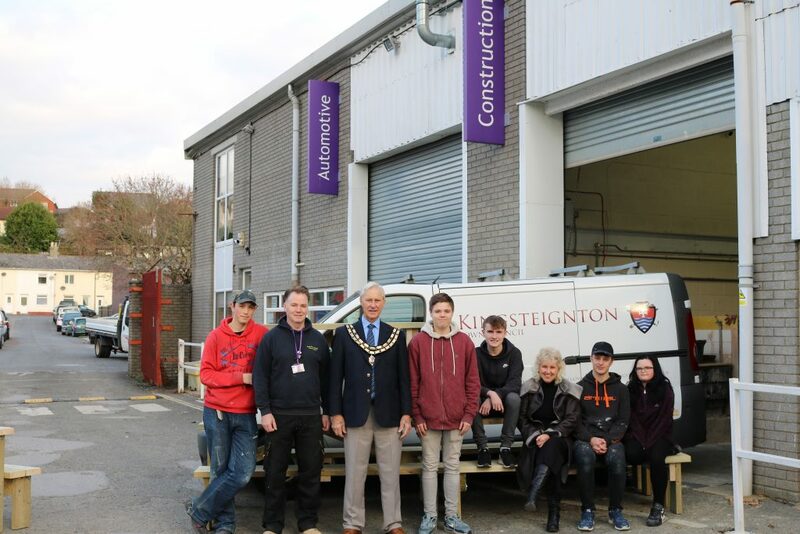 To witness the handing over of the benches, the College welcomed a visit from Mayor Councillor of Kingsteignton Town Council Ron Peart to its Newton Abbot campus, Bradley Lane site. Mayor Councillor of Kingsteignton Town Council Ron Peart, said “I’m pleased to see the finished result of our recent collaboration with the team at South Devon College in creating the new benches which many can enjoy. Community projects such as this are a fantastic way to bring together the ideas of others, and showcase the artistic talents of local students. The benches in both Oakford Lawn and Clifford Park will help mark the start for other future projects to vastly upgrade the green spaces across the Kingsteignton area. It was a pleasure of mine to personally oversee the handing over of the finished benches from one team to another”. Guiding the students throughout the project, South Devon College Lecturer in Carpentry and Joinery Stephen Jones adds, “This is the first community project that our students have undertaken this year and they thoroughly enjoyed every minute of it. It’s been a great opportunity for students based at the College’s Newton Abbot campus to develop practical skills and use a wide range of power tools. We were impressed to see how quickly the project was completed due to the student’s great organisation, communication and team work”. 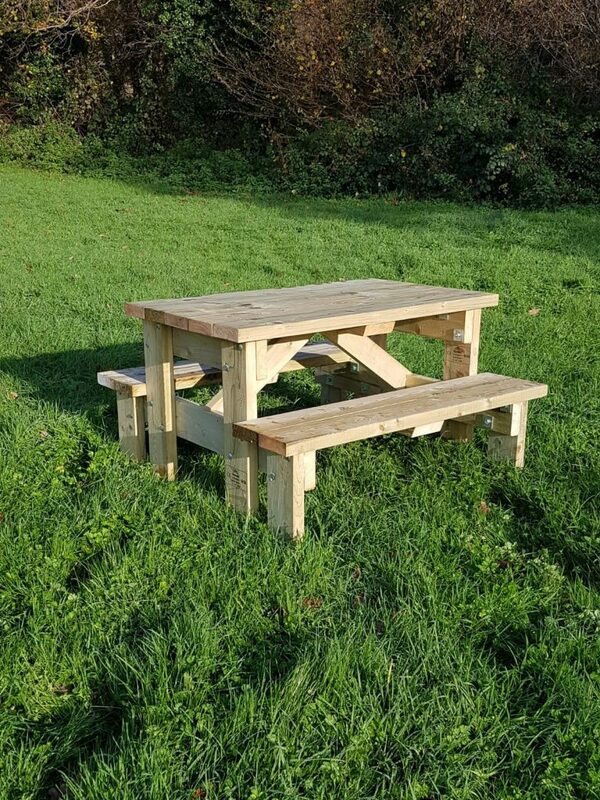 As a local community project, materials for the benches were kindly supplied by Inter-line Building Supplies South West after discussions with the Kingsteignton Town Council’s Parks and Recreation department.